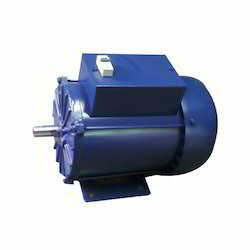 We are the established manufacturer and supplier of best quality 2.0HP Single Phase Motor MS Type. Manufactured under the surveillance of professionals and experts, the whole range of high quality motors offered by us is guaranteed of the surpassing quality. Resistant to abrasion and wear & tear, the offered product is highly durable in its characteristics. 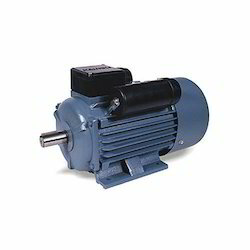 We are counted as a reputed manufacturer and supplier of supreme quality Single Phase Motor M S Type. The offered product is highly popular for its anti-corrosive properties. 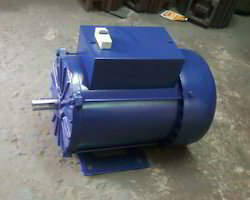 Owing to its smooth operation and longer functional life, the whole range of high quality motors offered by us is widely approbated among the client-base we have accomplished to gain. Packaging Details: wite corogated box packing 9ply box. We are listed at the acme for manufacturing and supplying an extensive range of Single Phase Electrical Motors. Widely regarded for their hassle free performance, fine finish and resistance to abrasion, the offered electrical motors have been the preferred choice of our patrons. Confiding on the prudent vendors for high-grade metals and alloys, we assure an optimum range of electrical motors for our esteemed clients. Looking for Single Phase Electrical Motors ?